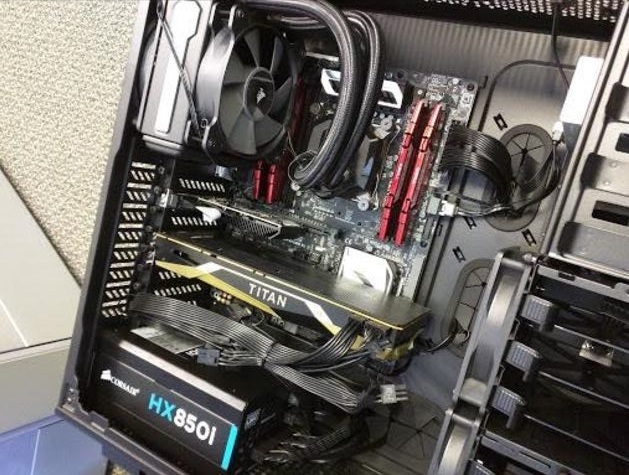 Pictures of what is allegedly Nvidia's GTX Titan Volta have appeared online. Read more on Nvidia's rumoured GTX Titan Volta. Waits for JayzTwoCents to say he won't upgrade and then upgrade. Feel sorry for the Titan Xp owners who just bought their card literally 1 month ago if this is true. If it is true then Nvidia are taking the piddle a bit. Not real in that old PC !!!! Jen sun "Public deception" it's clearly a mock up of the quadro sporting a titan shroud with masking tape wrapped around it, although what the 6 + 8 pins are for I don't know as they don't use them. Throwing AMD off the scent with a corporate ruse. All they are doing is shooting fish in a bucket. They can't miss. Kaap - yeah very probably. We usually get a rough idea when they start ordering one off PCBs etc.